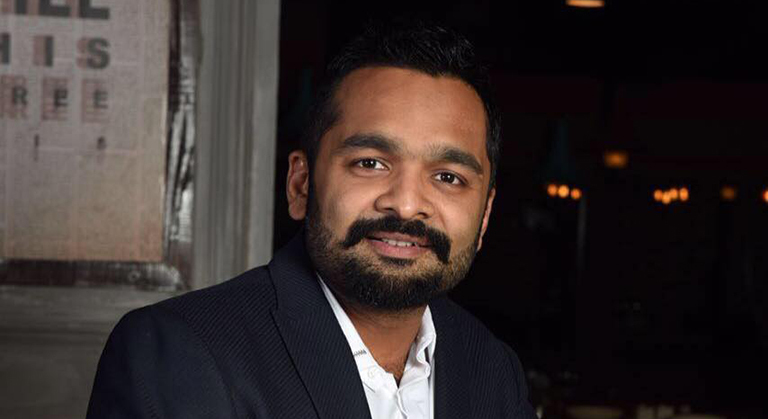 In a candid conversation with the owner of Afra Tafri, Raajiv Nathani. The idea was born three years back and kept refining finally opening to public on 18th March this year. The Idea was to give a different type of taste and feel to the people of Kolkata. It has been made like an old Kolkata pub with interiors of wood around and a place where you can smoothly breathe in. It is a big place. We even have some biker events inside. It’s divided into many parts. We have private video hall, a smoking area and have the main restaurant area. We have a big bar as well that is not active yet. We are also working on the micro brewery. Once we receive the liquor license we will be opening our bar too. Few things are priceless. The most expensive thing for me is time. It is difficult to say how much I invested, as I have no idea of the time I put in. Calculating it would be too difficult. I was in a different business earlier, but I always had a passion to get into food business. I just fell into the temptation and opened this place. We wanted all age groups to come in, be it youngsters or middle-aged people. So we planned it in a way that all of them feel comfortable in. Even the name suggests let the madness inside you come out. You have no care of sophistication here. You come here enjoy, have fun, spend some good time and just eat. We serve all kinds of cuisines. Be it continental, Mexican, Italian, Peruvian, Argentinean and Indian fusion including Bengali, South East Asian including Korean, Vietnamese, Thai and many more. We are serving some good types of mocktails and cocktails here. Cocktails are pending as we are yet to get the liquor license. We have some beautiful shakes, smoothies and yoghurts as well. It has been created like an old English pub of Kolkata. Kolkata had a British rule and is related with British structures and concepts. It is made in a contemporary way with modernisation. A lot of wood has been used. Floorings and ceilings have been made to tell the tales about old Bengal and Kolkata. I believe if the place is good, food speaks for itself. Our main focus remains in serving the best possible; in respect to food, service, music, ambience, even the chair you are sitting on or time you are spending here. Word of mouth is what travels. I am happy and satisfied with whatever number I am getting. People are showing interest and seem happy about the ambience as well. If people appreciate what we have done here and appreciate the service and food given here, we will definitely expand. I would prefer going to cities that have potential clients and will prove fruitful to me.